An award-winning logistics firm has launched a dedicated next-day service to Ireland, allowing businesses to export quickly and cost-effectively to Ireland. 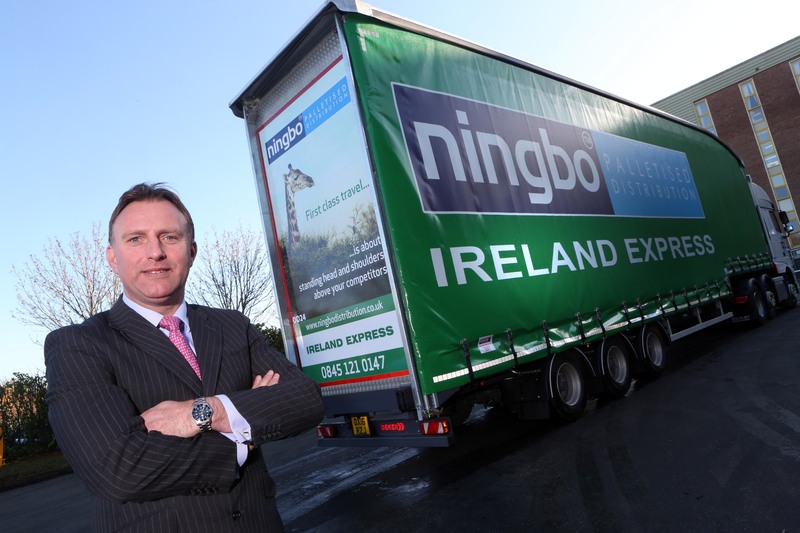 Wrexham-based NingboPalletised Distribution has invested £35,000 in launching Ireland Express, which will also see the company recruit at least two additional drivers. The move comes after recent studies show Ireland is Europe’s fastest growing economy, as well as an increase in exports between the UK and Ireland since Brexit. 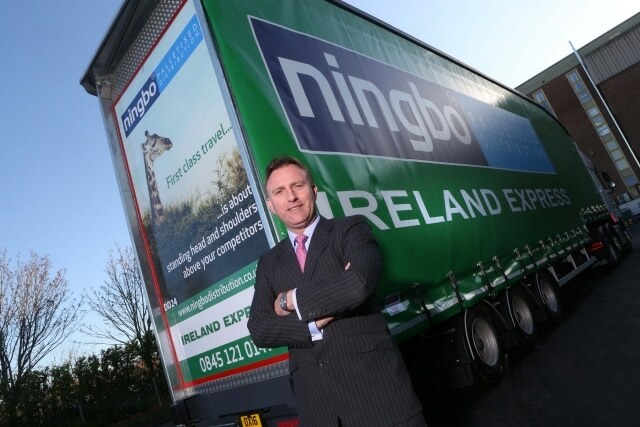 Ningbo’s managing director, Chris Stockton, said: “Businesses seeking to ship products across the Irish Sea have to use a multitude of partners. “This often comes with numerous bits of paperwork and documents, increasing time spent. “By launching a dedicated nightly service to Ireland using our existing structure and adding to our fleet, we are able to save companies time and money, as well as offering a stronger option. “Ningbo has 25 lorries collecting customer freight daily. The Irish consignments from these collections are then grouped at Ningbo’s Wrexham depot and trunked on the Ireland Express double decker trailer for delivery throughout Ireland. “This is a tried and tested reliable and cost-effective solution. “Ireland is the UK’s fifth biggest trade partner, and the Irish economy continues to grow and improve at a fantastic pace. Ningbo covers those areas from its sites in Overton, Wrexham, and Malpas. Its Wrexham Industrial Estate premises recently underwent a £100,000 infrastructure upgrade to enable it to handle hazardous materials. Chris added: “Joining the HazChem network was a key objective for us this year, and being able to deliver hazardous consignments to Ireland helps set us apart. Ningbo, which was formed in 1993, also offers a next day pallet delivery and collection service throughout the UK for normal goods, and is part of the UPN and Palletline networks. It employs 42 members of staff and has a fleet of 25 lorries, 18 additional trailers and four vans. In addition to the UK and Ireland, it delivers to all of Europe. It also offers businesses the option of pallet storage, pick and pack, and container unloading with a bespoke fully tracked and traced warehouse system. Ningbo Palletised Distribution is part of the Ningbo Group. Chris’ other businesses include Ningbo Furniture, a supplier of contract furniture.